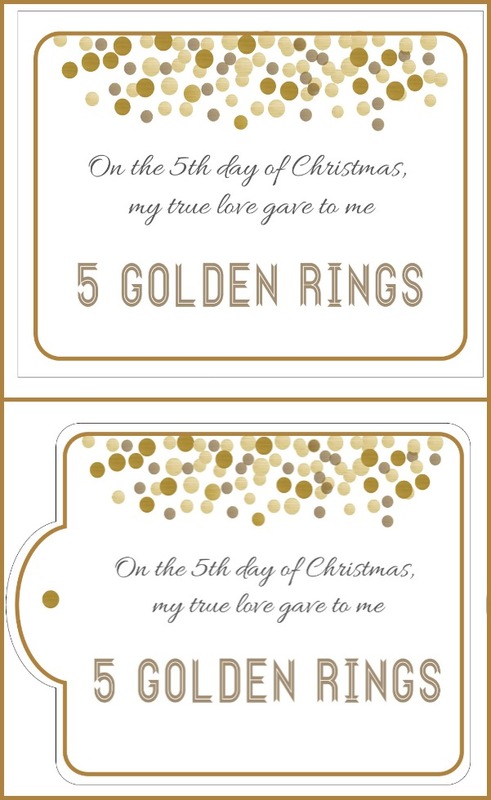 On the 5th day of Christmas, my true love gave to me: 5 Golden Rings!!! Hi Crafting Chicks friends! 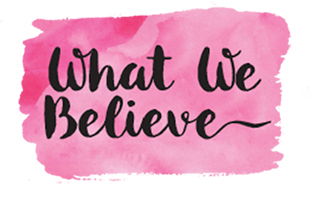 I’m Kristen Duke, and I like to share all kinds of goodness on my site, Capturing Joy. If you love photography, food, home decorations, free printables, holiday fun, and family adventures, there is something for you over there! I’m a momma to 4 fab kids, and reside in Austin, Texas. I’m delighted to be a part of this 12 Days of Christmas series, it would be SO fun to actually gift my TRUE LOVE something each day, I can’t wait to see what everyone else will share! 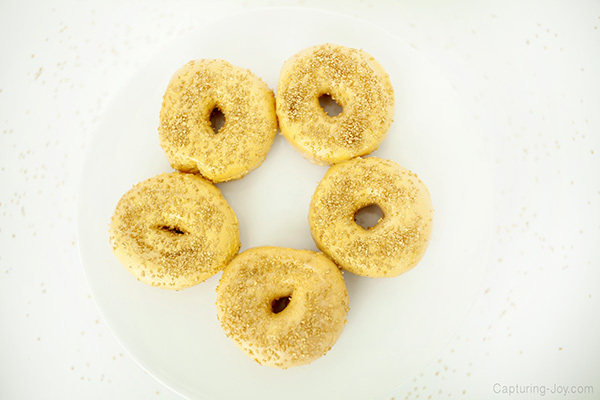 I decided on golden donuts. I mean, they are rings, right? 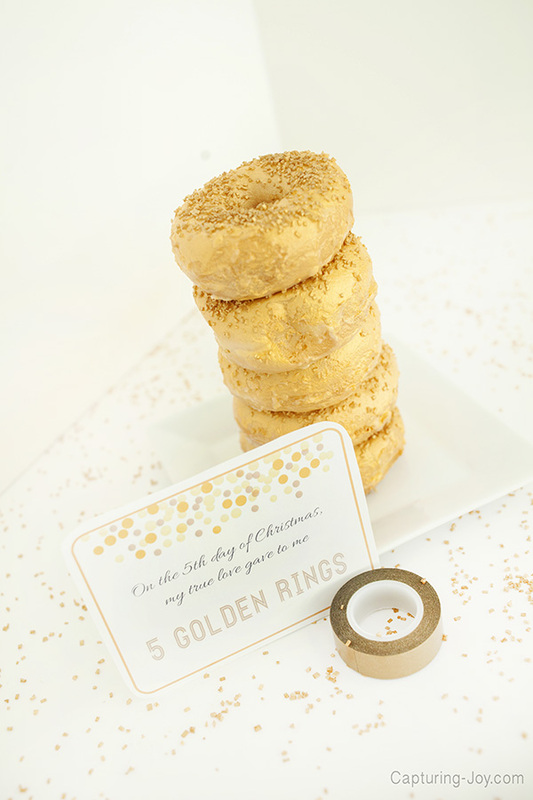 And most everyone loves a donut, why not a golden donut? 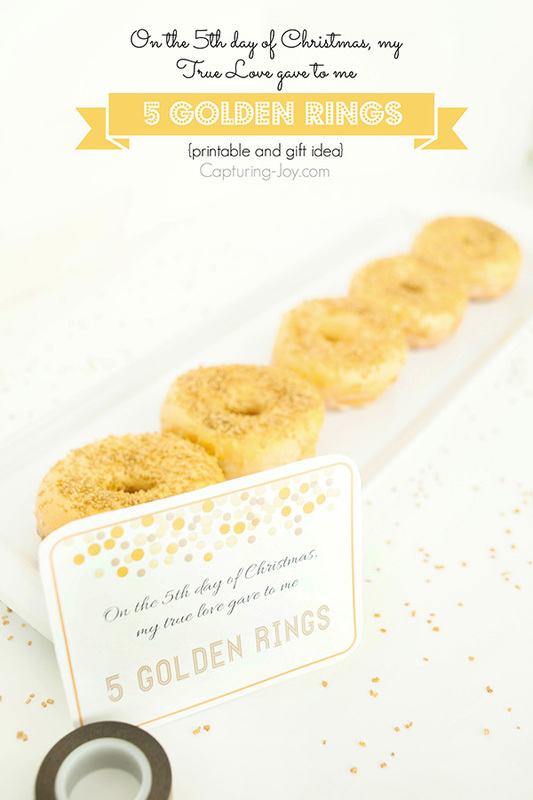 Better yet, 5 golden donuts! One could easily make donuts, but I opted to buy donuts already made, instead. 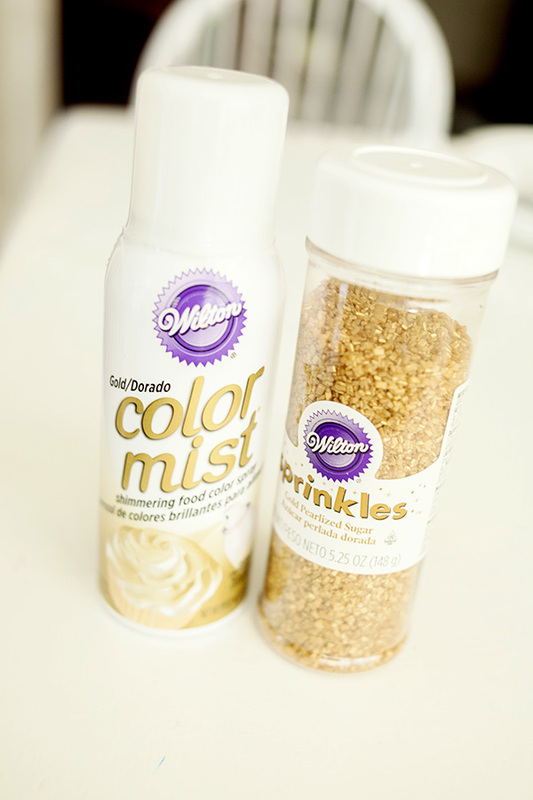 I ran to my local craft store and found Wilton gold spray and gold sprinkles, and this was a SIMPLE treat to pull together! If you are gifting 12 days in a row, you need simple, right? I’ve got two options for the printable, too. Square (top), and one with a notch (bottom). And there you have it, 5 GOLDEN RINGS!! I’d love for you to come on over to Capturing Joy and see what I’ve shared! 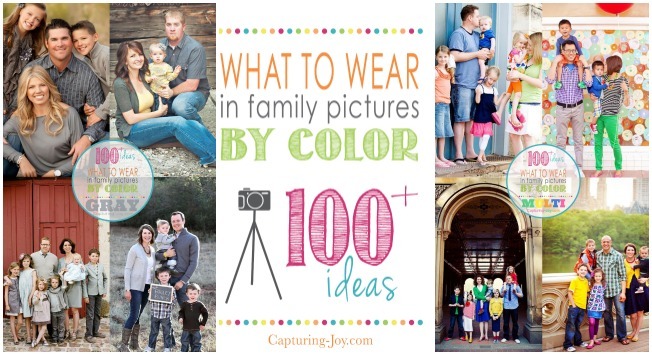 Most recently, I had a big series on What to Wear in Family Pictures by Color that took Pinterest by storm! Click on the image above to Come check it out! What a fun idea! This would be awesome to surprise my boys with! Thanks the idea and printable, Kristen! Super cute! 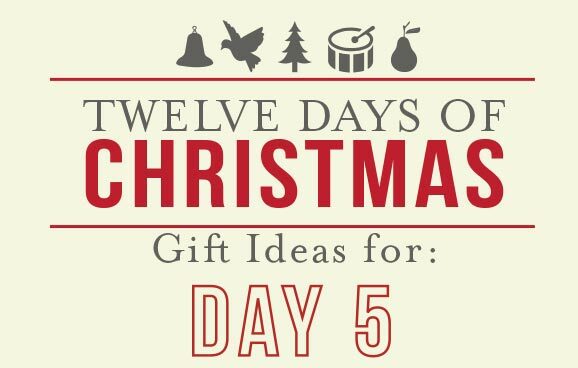 Are there more 12 Days of Christmas ideas somewhere? I didn’t notice a link. Thanks! 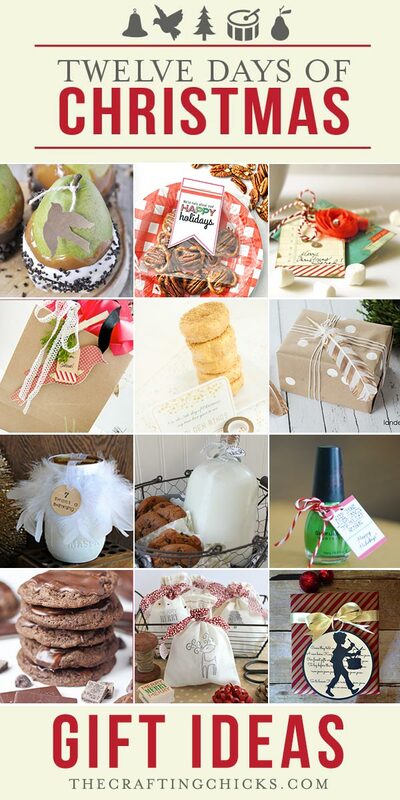 Yes, we’ve been sharing 12 Days of Christmas ideas for the last 2 weeks.